Due to the wind having picked up a little, we only did one trip today and it was an absolutely spectacular excursion. 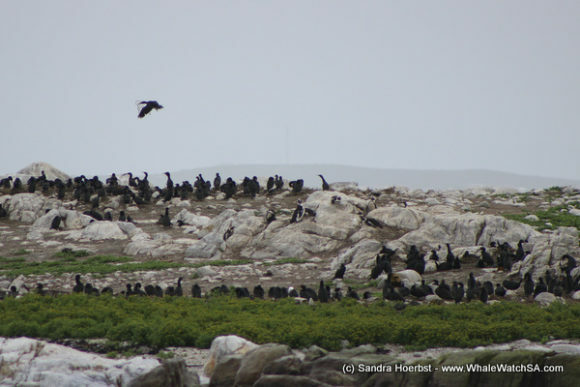 We started the trip by heading towards Dyer Island where we tried our best to point out some of our endangered African Penguins, who often sit on the boulders just above the water’s edge. 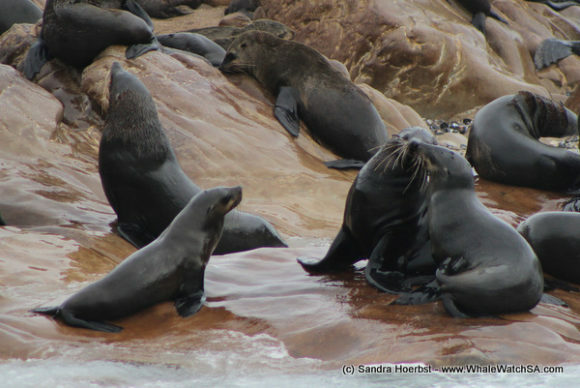 After this, we cruised through Shark Alley and spent some time with our resident Cape Fur Seals. We didn’t have too many of these cute little guys in the water, due to the fact that it was a little chilly but, the ones who were out and about definitely put on a show. 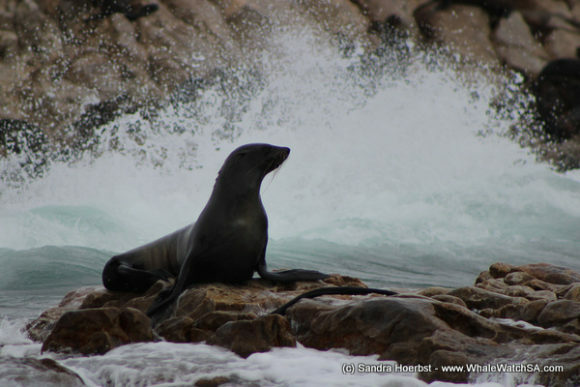 Cape fur seals are often overlooked because there are so many around but these marine mammals are truly fascinating in their own right, with awesome adaptions such as being able to collapse their lungs when they take a deeper dive. 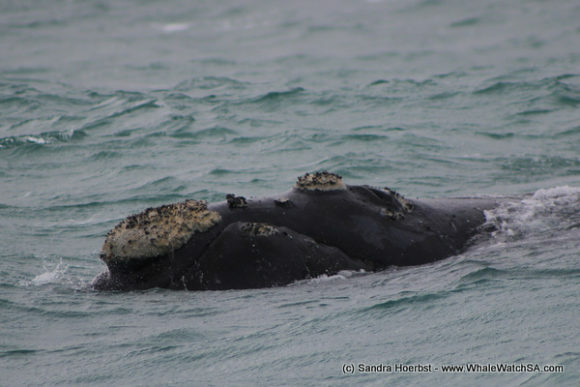 Next up, we made our way to Pearly Beach where we found a mating group of several Southern Right Whales. 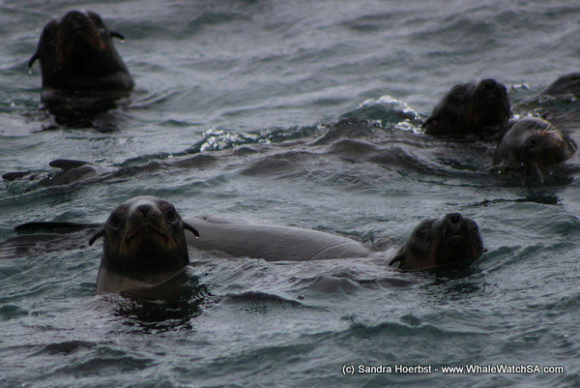 These animals were exceptionally relaxed and we had a ball of a time in their presence. 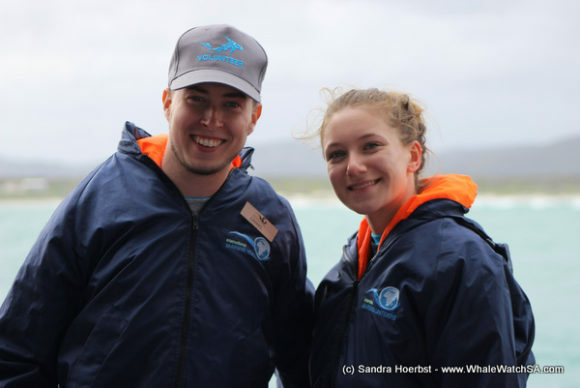 During this sightings, we also had two really pesky Sub Antarctic Skuas join us in really close proximity, so close that one almost landed on the head of one of our clients! 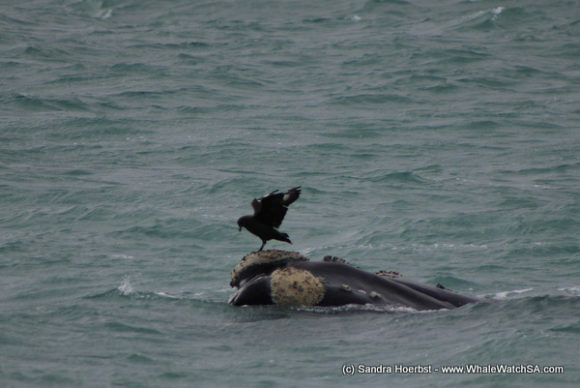 This was, however, not the highlight of the Skua Saga, as just minutes later, we had a Skua land on the head of a Southern Right Whale. This was pretty epic for us to see as this is the very first time any of our crew has witnessed this sort of tomfoolery. 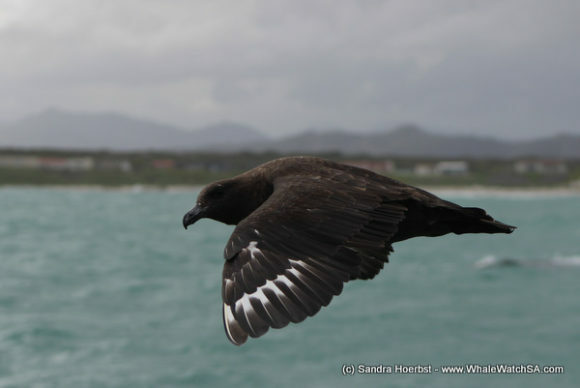 Gulls and Skuas are part of the same family and both are known to follow whales about, waiting for some lose skin to fall off so that they can grab a bite to eat. Sometimes, the birds do take it a step further, pecking at the whale’s flesh. This has been quite a damaging practice in places like Argentina, where they have actually seen whale calf mortalities due to this behaviour. 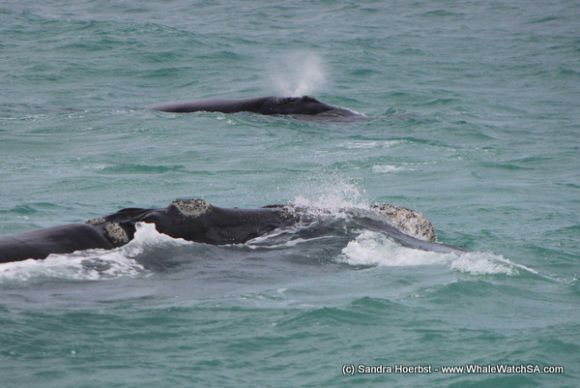 Back to the whales, we watched the mating groups play around in the swell for a long while. 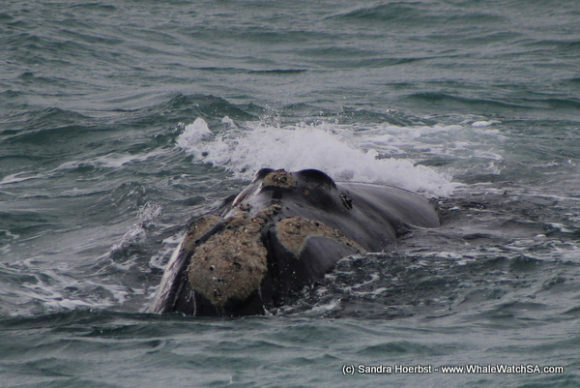 There is nothing quite like watching these majestic giants frolic around, with tail flukes just poking out above the surface of the water and blows all around. 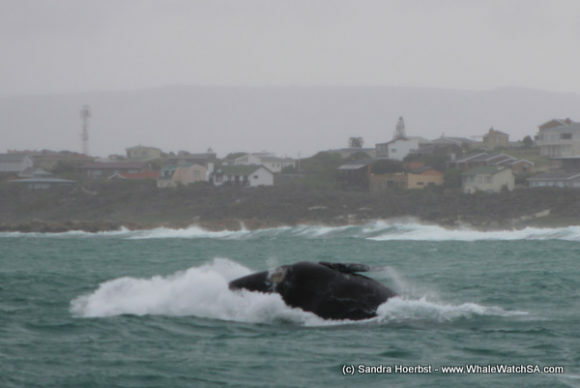 Close to the end of the sighting, when there was very little chance of things getting any better, one whale started to breach. 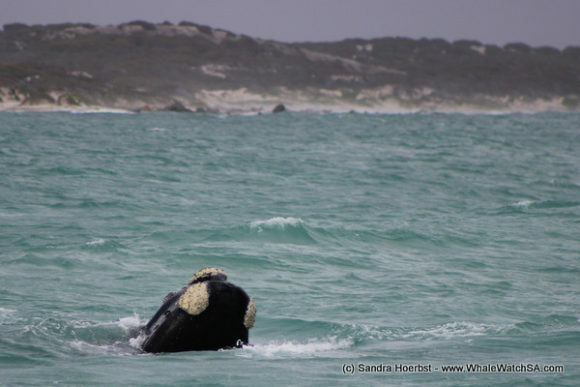 We left on this high note, stopping by Slashfin where we also got to see a Great White Shark breach. Every shark is an individual and we were really lucky to stop by our sister company at a time where they had a really active animal around. Working with wildlife is certainly an area where “luck of the draw” really pertains and today, we got all the right cards.